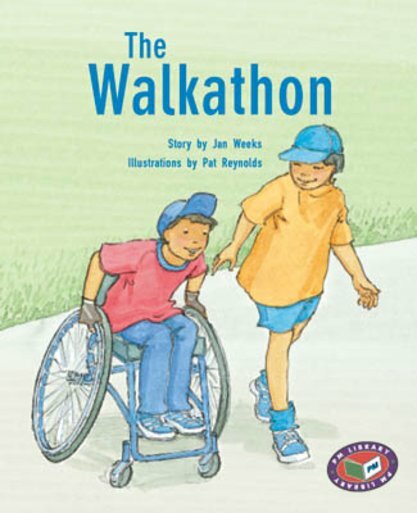 Peter’s school is doing a walkathon but he cannot compete becasue he is in a wheelchair and the path is bumpy and has a lot of hills. His friend Michael has a bright idea and asks his teacher if he can push Peter over the hard parts of the path. The whole class loves the idea and want to help too.